With steady support from our community, sold-out fundraisers, and grants from other charitable groups, the Flying Point Foundation for Autism rocked its mission to enrich to the lives of individuals with autism through opportunity and understanding. August brought our annual summer camp that runs 8 days and serves more than 45 individuals. It offers a traditional camp experience with the support needed to make it accessible to those with autism. Campers swim, do yoga, create art, sing and have fun playing noncompetitive sports. We worked with the Parrish Art Museum, though its Parrish Access program, to offer the opportunity to tour the exhibitions at the museum followed by an art project inspired by the current works on display. Three students from the East End earned scholarships from the Flying Point Foundation for Autism. Two were typical students who have demonstrated a commitment to the autism community and one was a student with autism headed to college! We are working with the Town of Southampton's Youth Bureau to develop a mentoring program in which teen volunteers train to work with teens with autism so that we can make the town's youth program accessible and fun for those with autism. Launch is expected in early 2018. As we do every April, we brought in a representative from ALEC (the Autism and Law Enforcement Education Coalition) to train first responders in the unique nature of an emergency involving and individual with autism. Supported, in part, by Southampton Hospital, the program draws responders from as far at Westchester and brings dozens of volunteers from our own area. Finally, we continue to pursue our goal of creating a community center for individuals with autism, where they may go with their support staff to enjoy every day activities including gardening, fitness, cooking, video games and more. The challenge is finding real estate within our means. If you know someone who can help, please let us know. First and foremost, the generous support of the Southampton Town Kiwanis and the Southampton Bath and Tennis Charitable Fund are the financial underpinnings of our camp. Without them, we'd be hard-pressed to carry on. In addition, we are fortunate to have been selected by Sabrosa as its charity of the month in June and the Southampton Soap Company as its holiday charity. Travis Corwin of Corwith's Jewelers in Southampton designed a beautiful necklace for FPF that was sold from April (Autism Awareness Month) through the summer. It's still available at the store on Main Street if you want to purchase one. Once again, the Blue Duck Bakery, at all of its locations, baked and sold the color puzzle cookies. It continues to be a terrific way to raise awareness and a few dollars. Real-Aid for Autism walked through our area and with one of our board members participating in a good portion of this annual relay walk, the event's organizer, EJ Foundation for Autism, sends us a generous donation each year. We've refocused our annual Give A Buck for Autism campaign and now several local schools embrace this annual fundraiser, in which students bring home a small flyer that asks for $1 to be sent to school and then the student's name is added to it and the flyer brought back to be hung on a Wall of Support for Autism. With schools raising from $120 to a whopping $900 from Southampton Elementary School and some creative fundraising by the Southampton Teachers Association, the new focus has proven a success. If you'd like your school to participate, please let us know. Generation Runway, a fashion show that will celebrate its 10th year in 2018, continues to be a runaway success. Sold out every single year, the event brings together local moms and their daughters for a day of fashion and fun. 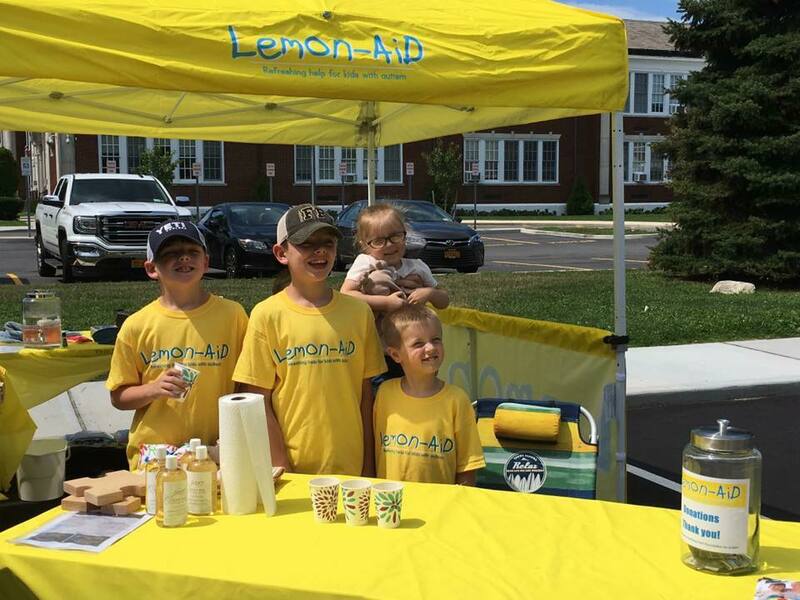 In August, we were back at the Riverhead Polish Festival with our Lemon-AID stand. Hundreds of thirsty people stopped by to offer some "refreshing help for autism." An eight-person team of cyclists rode 106 miles from lower Manhattan to East Quogue in June in the Bike to the Beach event. Though this fundraiser, cyclists ask friends and family for pledges toward their ride and our team raised more than $13,000. Added to that total was the fundraising from a member of ANOTHER Bike to the Beach team, raising our total to $38,000! We hope you'll consider joining us in 2018! Our holiday season was just a little bit brighter this year thanks to a wonderful fundraising effort by Southampton Town Kiwanis. 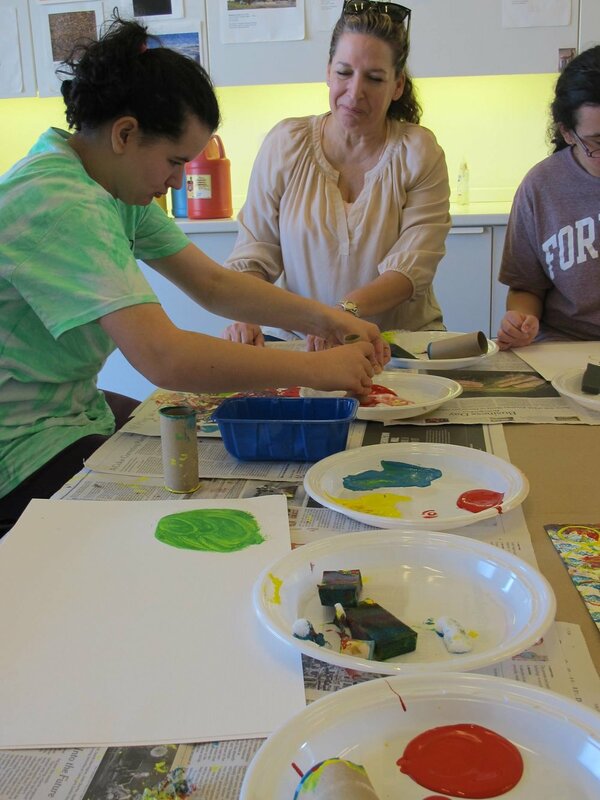 Using artwork created during our summer camp, they had holiday cards printed and sold them to raise money. That's a wrap for us on 2017! We are looking forward to another amazing and fulfilling year in 2018! Newer PostFirst Responder Training available April 21!